While various parties argued whether the reasons were partisan or because of Network Sweeps, The National League of Cities (NLC), at its annual meeting in Austin, Texas, voiced support for the president's initiatives. Several major news networks including CBS, NBC, ABC and Fox, didn't carry President Barak Obama's Thursday speech detailing his plans for executive action on immigration. But while arguments surged as to whether the reasons were partisan or because of Network Sweeps, The National League of Cities (NLC), at its annual meeting in Austin, Texas, voiced support for the president's initiatives. 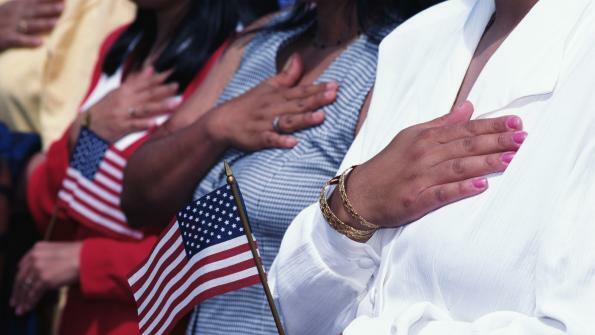 "…comprehensive immigration reform is overdue. NLC welcomes the president's use of executive authority to take steps to fix our country's immigration system," the organization said it a statement. TheNLC has petitioned Congress for years for immigration reform. Citing "interminable delays stretching over two administrations," the NLC says, "We applaud the president taking action to address the problem." "The president is to be commended for his strong leadership today," said Mayor Chris Coleman, Saint Paul, Minn., and current president of the National League of Cities. He continued, "The use of executive authority in this manner can go a long way towards providing a fully workable solution to this crisis." But while the NLC says the president is headed in the right direction, it maintains that "executive action is not enough" and asks that cities and towns continue to demand that Congress take action. "Cities need federal policy makers working together to go even further than the president's action today," said Mayor Ralph Becker, Salt Lake City and the incoming president of the National League of Cities. He continued, "Without a more comprehensive approach that addresses issues like providing resources to integrate immigrant families into our cities, the problems associated with our current immigration system will continue." Freeing local governments of responsibility for housing felon. Provide resources for immigrant integration. Today's action is only a beginning, and it is now up to Congress to work with the president to take the next steps to ensure our immigration system is reformed.